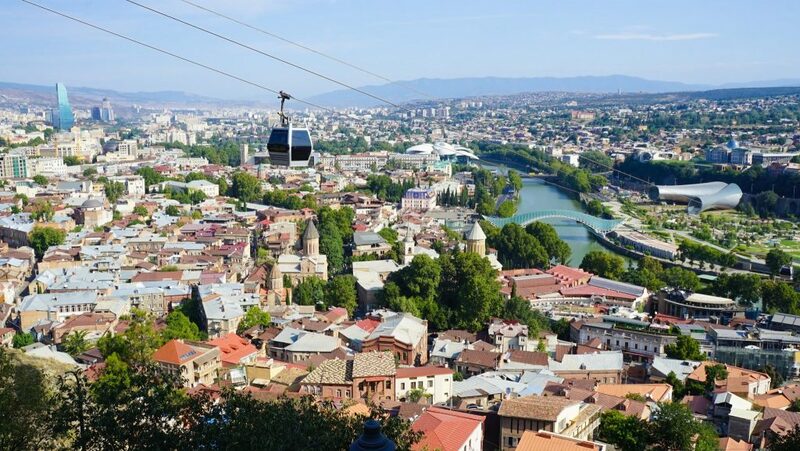 Are you looking for the best option to get between Tbilisi and Yerevan? Well then make sure you check out Enlinking Caucasus Envoy Tours! Leaving once a week in each direction the Enlinking Caucasus Envoy Tours offers a unique transport solution and tour between the Capitals of Armenia and Georgia. 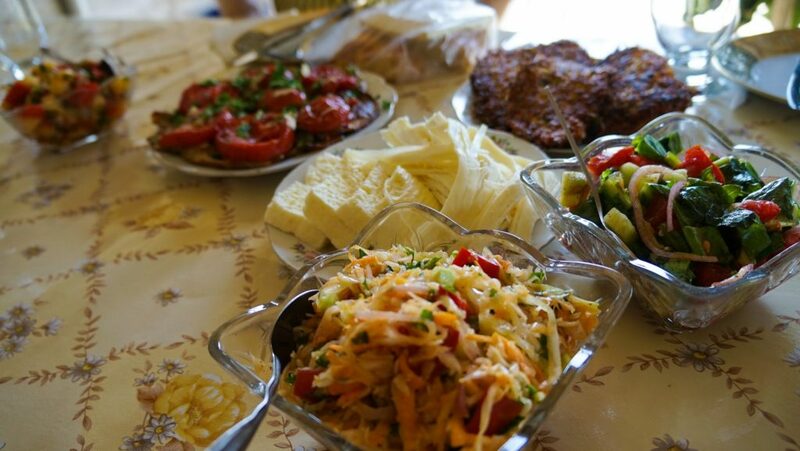 Not only is it a time-saving option, as you have the opportunity to see remote highlights of Armenia, but you’re also able to enjoy local cuisine, ask as many questions about local history as you like and make friends to plan onwards travel with. 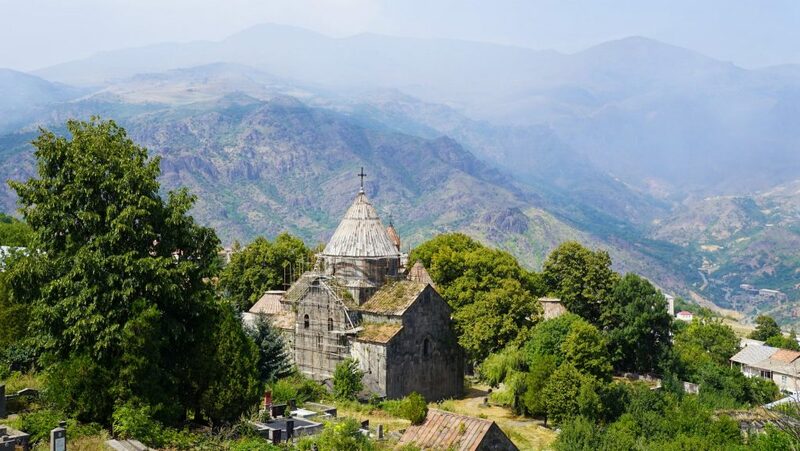 It’s a triple win with Envoy Tours Armenia! 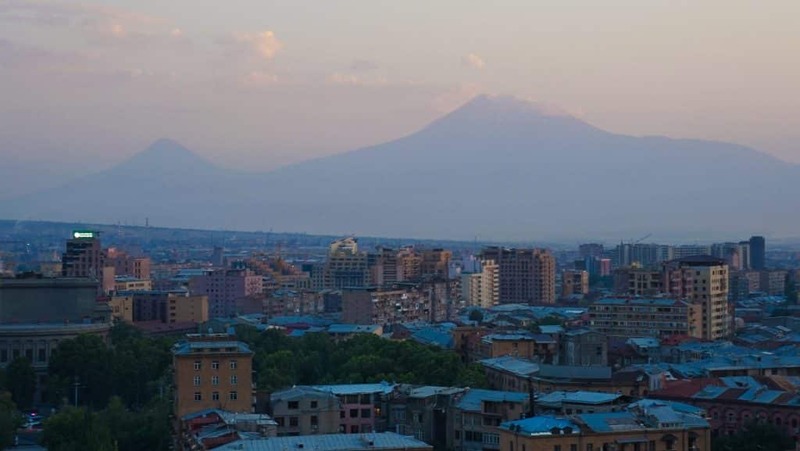 Our tour ran from Yerevan to Tbilisi but it runs once a week in either direction [you can ask for current dates by contacting Enlinking Caucasus Envoy Tours here]. There were 8 of us with a good mix of young and young at heart from Europe, and us Kiwis [we are really a novelty in these parts, let me tell you!]. We left nice and early and headed out of crowded Yerevan into the quiet countryside as our guide thoughtfully rattled off facts about Armenia and shared stores. I might suggest not eating breakfast as these are sooo good! Next stop was the UNESCO Heritage listed Sanahin Church. 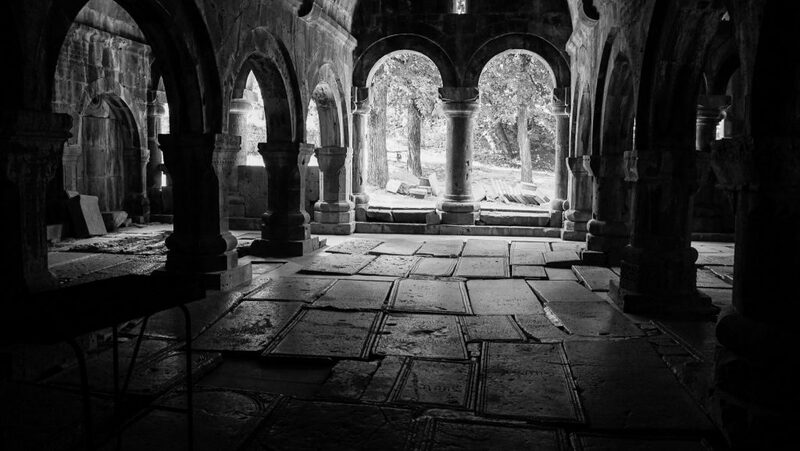 This 10th-century construction was renown for its school of Illuminators and Calligraphers and much of its history will be imparted by your guide in an entertaining manner [I don’t want to ruin anything!]. This complex and its twin, nearby Haghbat, which we also visited, represent the highest pinnacle of Armenian religious architecture and unique style which dominate throughout the Caucasian region. Both churches are nestled on the ends of the Debed Canyon which makes for extremely picturesque scenes. 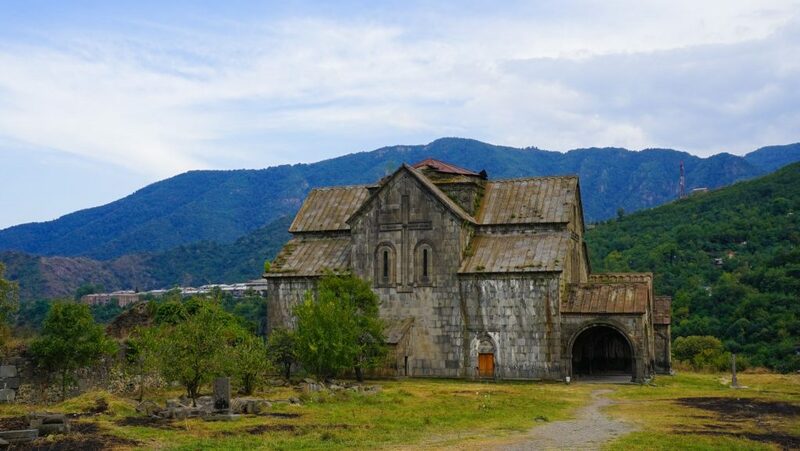 This is probably the best reason to go with Enlinking Caucasus Envoy Tours as they offer this really off-the-beaten-track type destination which is almost impossible to visit otherwise! After the first two churches, we were lucky enough to attend a BBQ lunch at a local house. There were gorgeous views over the surrounding countryside and more food that you could eat… and we tried! 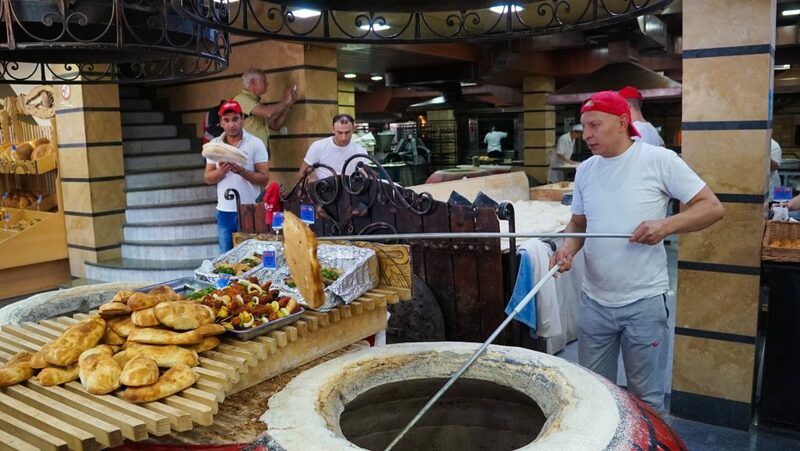 Many local dishes from this region were presented to us but my absolute favorite was the eggplant salad! Not to be missed. Our last stop of the day was Akhtala Monastery, right on the border with Georgia. Akhtala is unique in modern Armenia not only in terms of its preservation but also due to the presence of frescos on its inner walls. 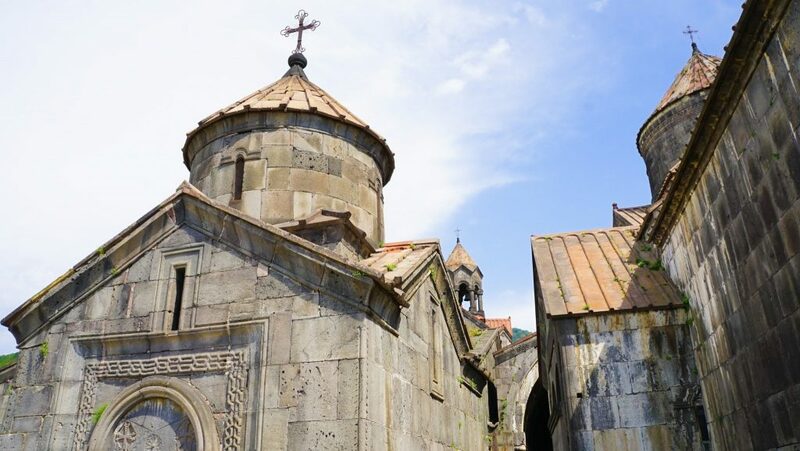 Churches in Armenia, as you will see, are rather void – with the only goal of being connected to god. 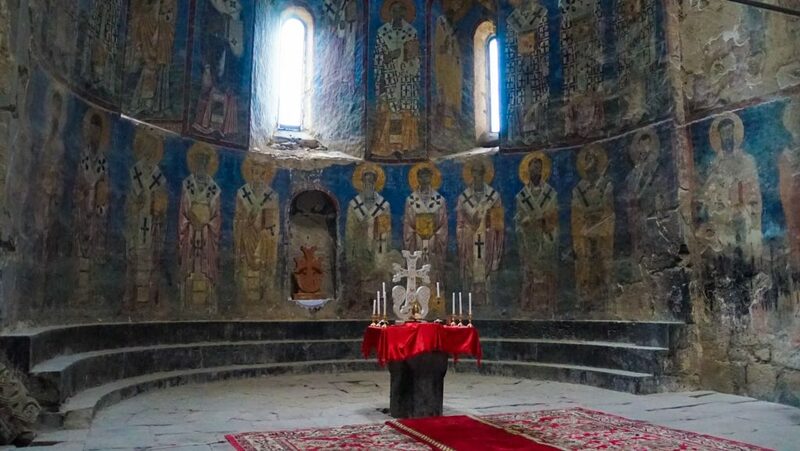 However, Akhtala was heavily influenced by the Orthodox church of Georiga and Russia and it’s really interesting to see how this mixture played out! After this final stop we were on our way to Tbilisi, a quick stop at the border for an easy crossing [most people are visa on arrival/ visa-free so its really easy] and we were dropped in the middle of Tbilisi’s Old Town, with plenty of things to do. So all and all, I would 100% recommend Enlinking Caucasus Envoy Tours for their informative guides, unique transport solution, and selection of attractions which really are local and off-the-beaten-track! 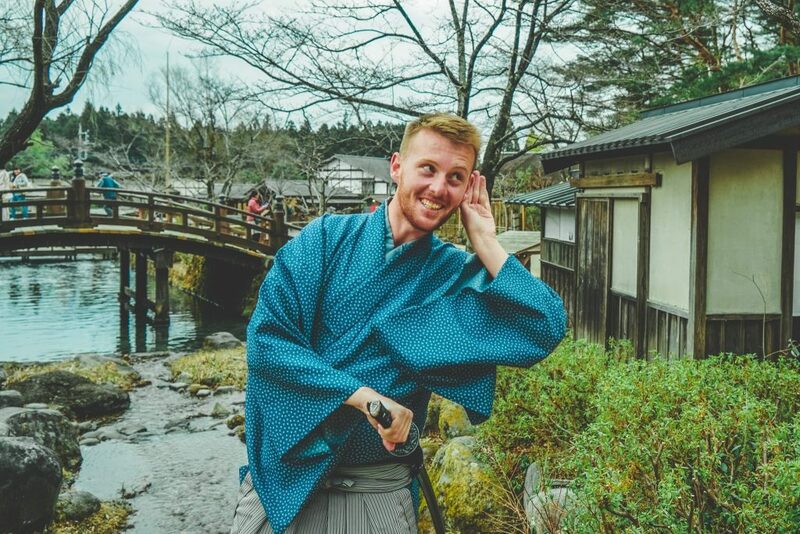 They are incredibly affordable for what is on offer and not much more than a direct train or bus! Check them out next time you are in Caucuses or if you are looking for more excuses to go, here are my top things to do in Yerevan and Armenia or if you want to go even further…How about Backpacking Azerbaijan too!